First Impressions: Like most Barry M palettes, this is a cardboard case, certainly less durable than other plastic cases you could find with the Sleek palette however the three different shades would certainly help to build a more natural finish (Sleek came with just two) which is why I opted for the Barry M at my first attempt of creating the perfect contour. The size of the palette is quite small, although perfect to travel with. It was £6.49 from boots (available here) so that is certainly not a complaint. As a contour virgin, the instructions on the lid of the palette certainly impressed me and I was excited to give it a go! 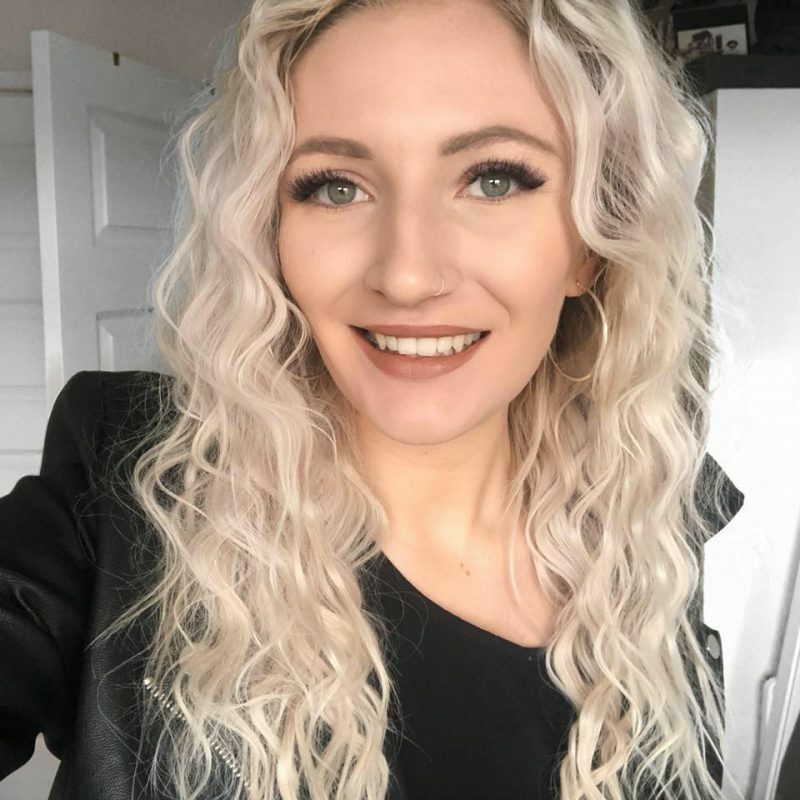 I really liked that there were easy to follow instructions on where to apply the product for the best results, with this there was also an invitation to watch the Youtube video where it explains in more depth on how these products can help structure your face. 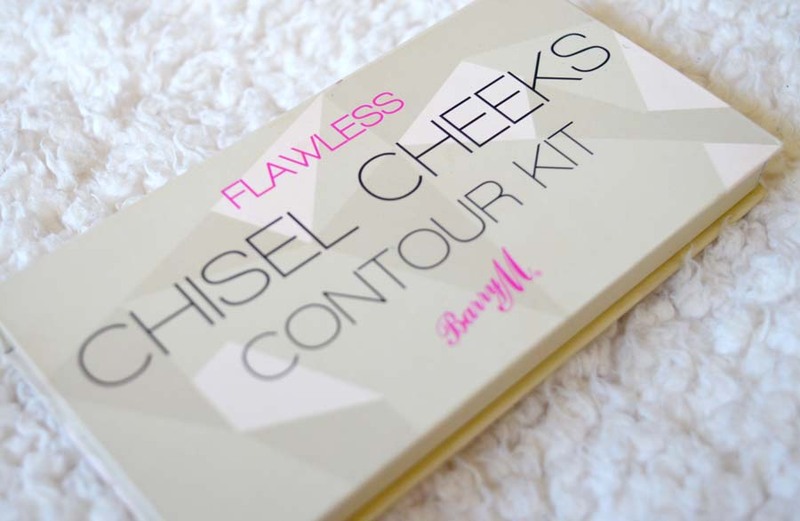 This is really great for beginners as contouring can seem all a bit daunting at first. The powders consist of a light powder which is a highlighter, a medium brown which is a bronzer and a dark brown which is a contour powder. The highlighter is a soft ivory colour that helps to provide a shimmer to the face, although the product is matte, is helps to brighten your face in the desired areas. An additional highlighter could be used if you desire a more ‘shimmered’ look, but this is certainly down to personal preference. The bronzer is a nice warm colour, it is very powdery so be sure to only apply a little at a time to prevent the product from becoming chalky. Building up the layers also creates a much more natural finish which is essential in achieving a great contour. Lastly, the contour powder which is a much more cool ashy tone. I find this really excels in pigmentation and a little goes such a long way. Just make sure you have a contour brush that will help to blend the product to avoid harsh lines as on pale skin this can firstly appear quite harsh but a great blend can tone it down and make it look like natural shadows on your cheekbones and jawline – eat your heart out Kim K! 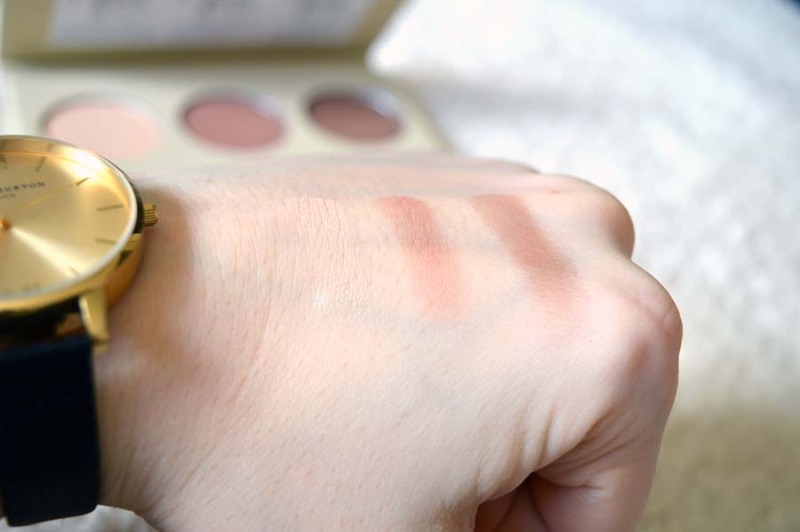 Swatches from Light – Dark. They are extremely pigmented and true to colour from the palette which is really great. They claim to be appropriate for all skin colours which I think is a fair assumption, I’m extremely pale and the dark powder is not too dark despite looking very harsh at first. They blend really nicely together and help to create a nice blended finish. I found that if over applied, the final finish can seem a little too red toned which is not exactly desirable, but slowly building up the colours prevents this. I use my Real Techniques Contour Brush and swirl it around the product, empty off the excess and follow the instructions as given and I really like the result. I think you’d agree that this helps to create a really natural finish ready for everyday use and if I wanted a more dramatic finish I could just layer up the colours further until I get the desired look. I was really impressed with how user friendly it was to get a really nice finish and would really recommend it to anyone who wants to try out contouring. 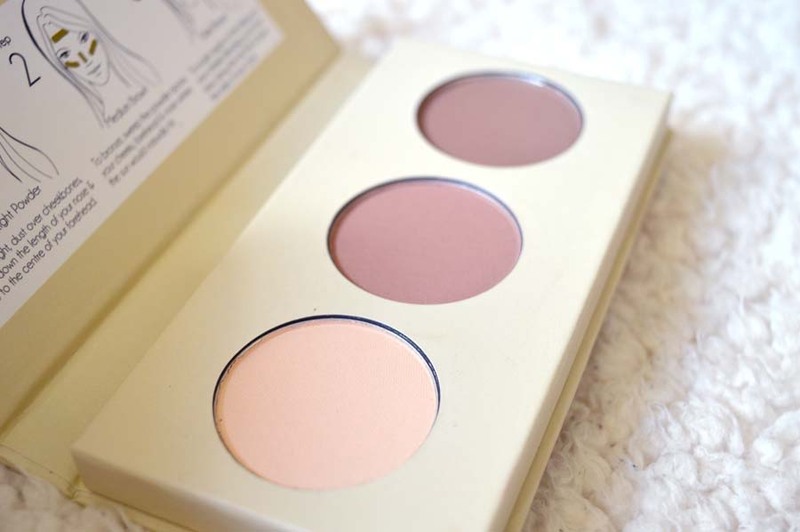 I now really want to try out cream contouring palettes just to compare both powders and cream finishes. Powders can often look slightly ‘cakey’ but perfectly blended they look so natural so I will do a comparison soon. So many people are obviously claiming the Anastasia Beverly Hills Contour Palette as the holy grail but the Barry M palette for £6.49 instead of the £39 ABH price tag, I’d recommend Barry M completely to get to grips with how contouring can really make a difference to your base. 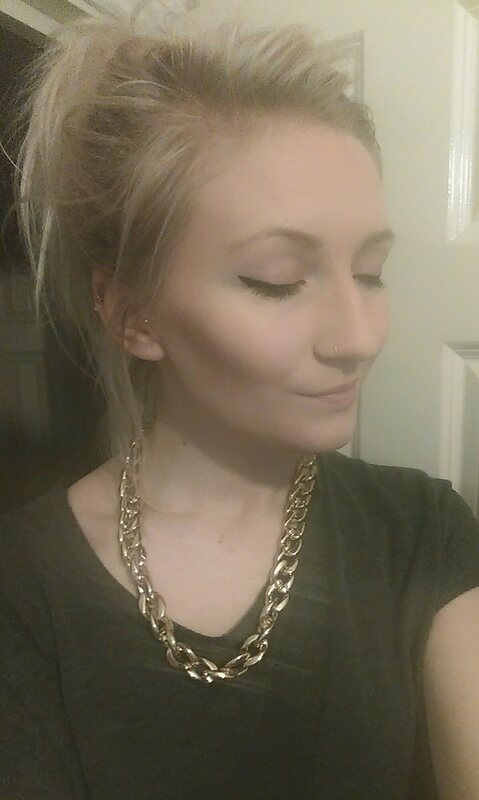 It sounds cliché, but I really can’t imagine not using a contouring palette and hope to eventually try the ABH palette for time being, Barry M – you’re fab! 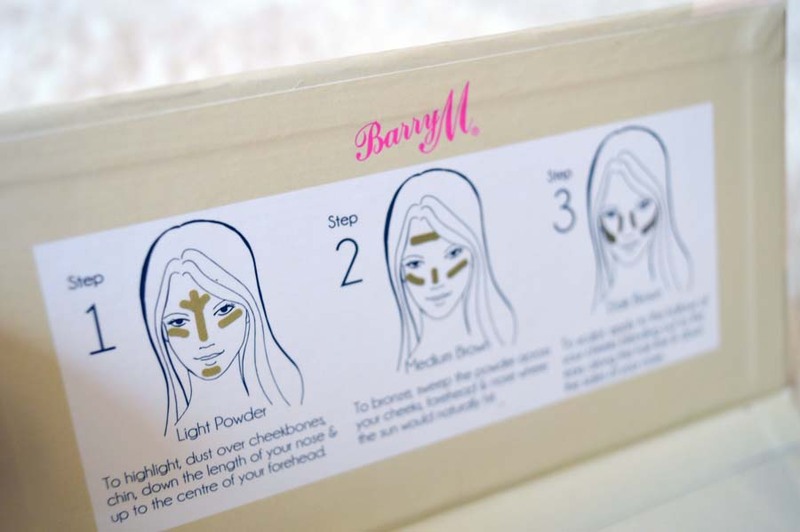 Have you tried the Barry M contour kit or have another high street/drug store palette you’d like to recommend? Have I made you want to try it out? Let me know, I love reading your comments!